Home » Blog » Is An SBA Loan Right For Your Business? 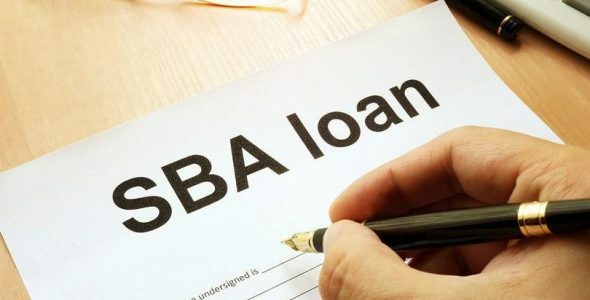 If you are a small business owner and have been investigating options for additional capital, you have probably come across the term of an SBA loan. It is important that you know what it is, since it is one of the most attractive financing options available to a small business owner. The Small Business Administration (SBA – Federal Government) provides a guarantee to banks and lenders for the money they lend to small business owners. An SBA loan is a commercial loan through a bank or authorized SBA lender, structured according to SBA requirements with an SBA guarantee. An SBA loan reduces the risk associated with lending to small business owners who may not qualify for a traditional loan. This allows for an expanded source of funding for entrepreneurs, small and growing businesses, minorities and veterans. Contrary to myth, the SBA does NOT do direct lending to small businesses. Rather, the SBA works with a network of approved financial institutions that lend money to small businesses with better terms because the SBA partially guarantees the loans that these lenders extend to small businesses. But there is always a price for dealing with the Federal Government. The SBA loan application process is restrictive, thorough and long (up to 3 months, after full documentation submitted). You will need to invest significant time and patience to get an SBA loan approved for your small business. What Types of SBA Loans Are There? There are a variety of SBA loans that are available to meet your business profile. The primary financing program is the SBA Standard 7(a) loan type, that can be used for a variety of business purposes including working capital, equipment purchases, refinancing existing debt and more. There are a variety of types, with funding ranging from $500 to $5.5 Million. The duration of most loans is 10 years. The 7(a) Small Loan provides up to $350,000 with no collateral required for loans up to $25,000. Above this amount, collateral is required and is determined by the lender’s policies for SBA loans. This will include, at a minimum, the lender taking a first lien on the assets financed from the SBA loan, as well as a lien on all of the business’ assets, including any real estate. The 7(a) SBA Express loan provides businesses up to $350,000, an expedited approval process, with no collateral required for loans up to $25,000. Above this amount, collateral is required and is determined by the lender’s policies for SBA loans. Similar to the above, this will include, at a minimum, the lender taking a first lien on the assets financed from the SBA loan, as well as a lien on all of the business’ assets, including any real estate. The 7(a) Export Express loan provides export businesses up to $500,000, an expedited approval process, with collateral determined by the lender’s policies for non-SBA loans. Seasonal CAPline to help businesses finance increased accounts receivable and inventory. Contract CAPline to help businesses finance direct labor and material costs of assigned contracts. Builders CAPline is designed to help finance direct labor and material costs of a builder/contractor business constructing or renovating commerical or residencial properties. Working CAPline is an asset-based revolving line of credit for businesses unable to meet credit standards associated with long-term credit. It provides financing for cyclical growth, recurring and/or short-term needs. The 7(a) Veterans Advantage loan provides veteran-owned businesses with significant reduced fees. As mentioned above, the terms of an SBA loan will be determined by the lender that♠ you choose to work with, the type of 7(a) loan you apply for, the amount borrowed and collateral provided (if required). Loan interest rates can be as low as 6.5% APR with repayments from 5 to 25 years, with 10 years being the norm. What Is Required to Qualify An SBA Loan? Be operating for profit and currently profitable. Does business in the US or its territories. Has reasonable owner equity (time and capital) invested. Has used alternative financing, including personal assets, before seeking financial assistance. Since each SBA approved lender has their own specific lending policies, it is best that you contact several to get their loan approval guidelines and application before investing too much time. While the SBA loan approval may be difficult to qualify for, this source of funding may be ideal for your small business and worth the effort. Is An SBA Loan Worth It? SBA loans are ideal for a small business. They offer some of the highest loan amounts, the longest repayment terms, and the lowest APR’s available to small businesses. If your business can qualify for an SBA loan, then you should almost certainly consider it your very best option for business financing. However, an SBA loan is not a a realistic funding option for many small businesses. Whether due to the type of business, age of the business, collateral requirements, etc., some businesses will have to seek alternative funding elsewhere. This might be a traditional term loan, an asset-backed loan, or any of the many other, more accessible loan types. Also, if your small business requires capital in a short period of time, the lengthy SBA approval process will not be a feasible option anyway. An SBA loan is one of the most attractive financing options available to a small business owner. There are various SBA loan types, with different requirements, payment terms and costs. If your small business can qualify for an SBA loan and have the time and patience to go through the approval process, you should seriously consider this option.